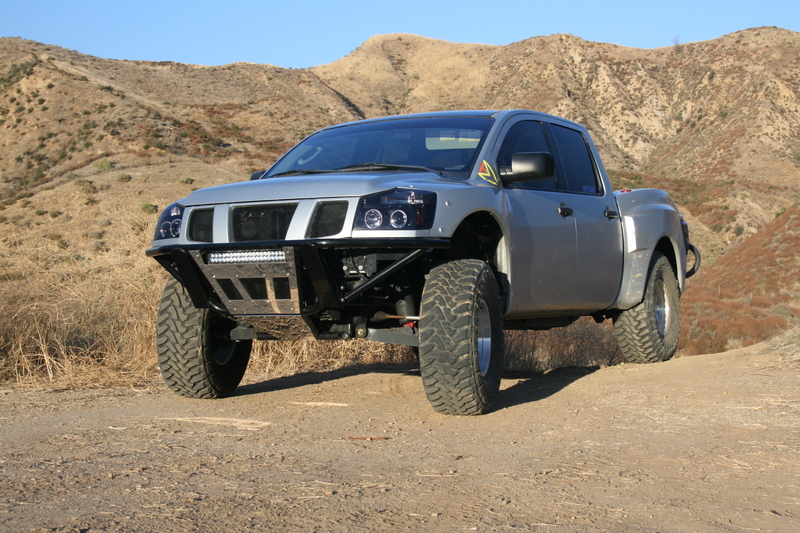 Anaheim, Calif. — MaxTrac Suspension has released a cost-effective solution for two-wheel-drive 2004-2011 Titan owners who want to run up to 35-inch-tall tires. 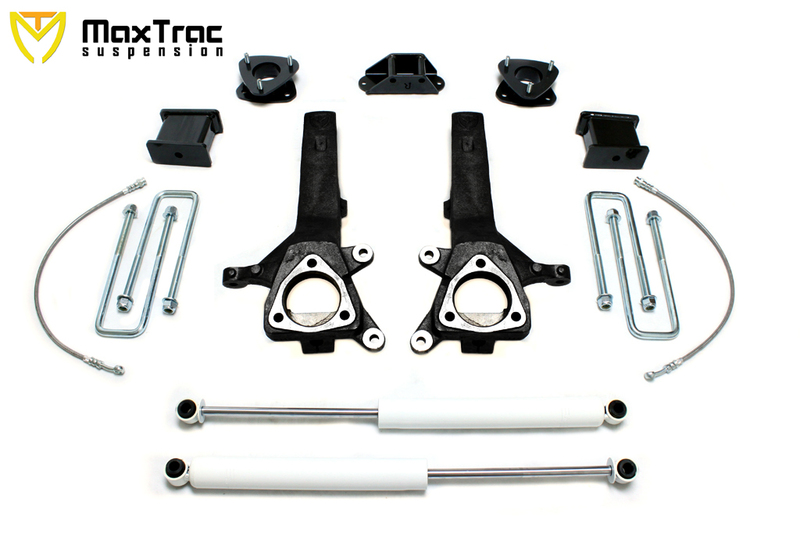 MaxTrac maximizes value and ground clearance by eliminating the replacement front crossmember included in some competing kits. Instead, MaxTrac uses one-piece spindles that are cast from ductile iron and are e-coated for corrosion protection. These spindles provide four inches of lift. Steering angles are retained, and the factory rack-and-pinion system remains in its stock location. MaxTrac estimates installation time at 4-6 hours, depending on the installer’s experience. No welding or cutting is required. However, brakes have to be bled after installing the kit’s braided-steel hoses. Headlights should be re-aimed at the end of the job. For Titan owners who want more flexibility, MaxTrac also offers its 6.5-inch kit’s components individually. Other Titan options include a 2.5-inch spacer-style front leveling kit, which provides clearance for 285/70-17 tires. Using the 4-inch front spindles alone accommodates up to 33×12.50-17 tires. For Titan owners who want either a nose-high pre-runner look or a raked factory stance, MaxTrac offers 1-inch-lift rear shackles as well as 1-, 2- and 3-inch tapered rear blocks.